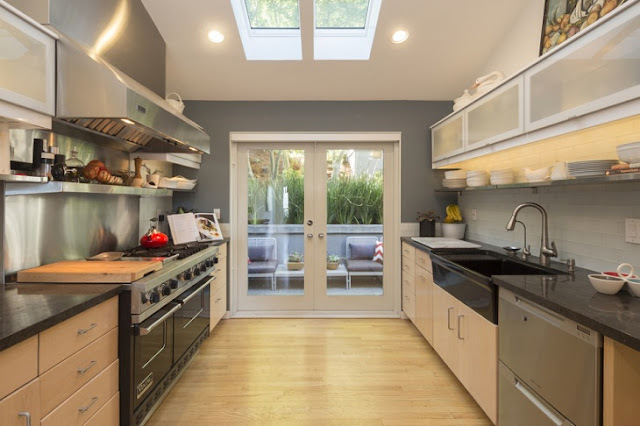 Planning a good kitchen for your house is not an easy job but if you look carefully then you will see that you have a lot of different type of kitchens to choose from. Arguably the most popular kitchen style has to be French provincial style kitchen. 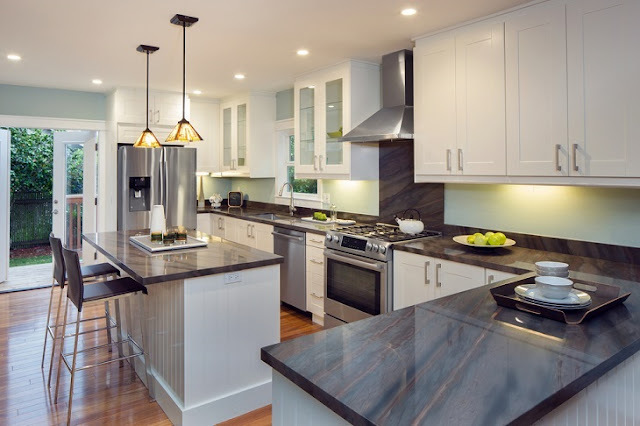 The reason people usually go for this particular type of kitchen is because they are a combination of elegance and are meticulously detailed. If you are looking to create this kind of kitchen for your house then remember to have elements which are strictly traditional in nature like cane, stone, wood, etc. Let us have a closer look at the essential elements for French provincial style kitchens. The Architecture: The first thing which defines this particular type of kitchen is the architecture of the room. Therefore, you need to be extremely careful about the design and patterns you choose. Here, the presence of an archway complimented by leadlight windows in the kitchen is a must for it to be truly called a French provincial style kitchen. Wooden Flooring: Wooden features are an integral part of this type of kitchens so when constructing such a kitchen for your own house never forget to stress on this particular detail. The presence of wooden details here is usually spread throughout the kitchen including the cabinets, stools, cane, etc. The wooden flooring here is usually mid-toned, so as to provide balance to the overall look of entire room. Cabinets: Since we are already talking about the cabinets, the first thing you need to know about it is the fact that they need to be made out of wood. This is a feature of a traditional French provincial kitchen, which cannot be ignored. You will find that these wooden cabinets are often carved and have corbels. For this purpose, always try to use solid wood in order to get the best results. The painting on these cabinets have to be hand painted as it will give them the rustic look which is quintessential for any French provincial style kitchen. Stone Features: If you are not in favor of wood then a good alternative option for you in terms of flooring has to be stones, especially if you are looking to install a stone benchtop. The reason for using this combination together is that it gives the kitchen a more aggressive look. Now for the benchtop you will get a number of different stones to choose from which includes the likes of granite, marble, limestone, etc. The stone countertop plays dual role. Firstly it is strong and works well to add color to the kitchen and secondly, it can assist you in cooking, for e.g. they are the best surface for rolling pastry. Appliances: French provincial style kitchens have a very traditional look which means that the appliances installed here must be chosen likewise. In a normal French provincial style kitchen the cooking was usually done in a fireplace with the smoke billowing out of the chimney but the chances of replicating that in your house might not be a viable option. Therefore, it would be nice if you could install a large oven for cooking which should have some wooden finishing on it to give it a more traditional look. Lightings: Since we need to have a touch of traditional French flavors in every aspect of the kitchen, it is normal for the lighting to feature something on similar lines. Here installing metal lightings would be your best option as nothing speaks traditional lighting louder than them. But if you are not in favor of these types of lights, you can try out cane basket lights or simple glass shades.